New tools! New tools! New tools! 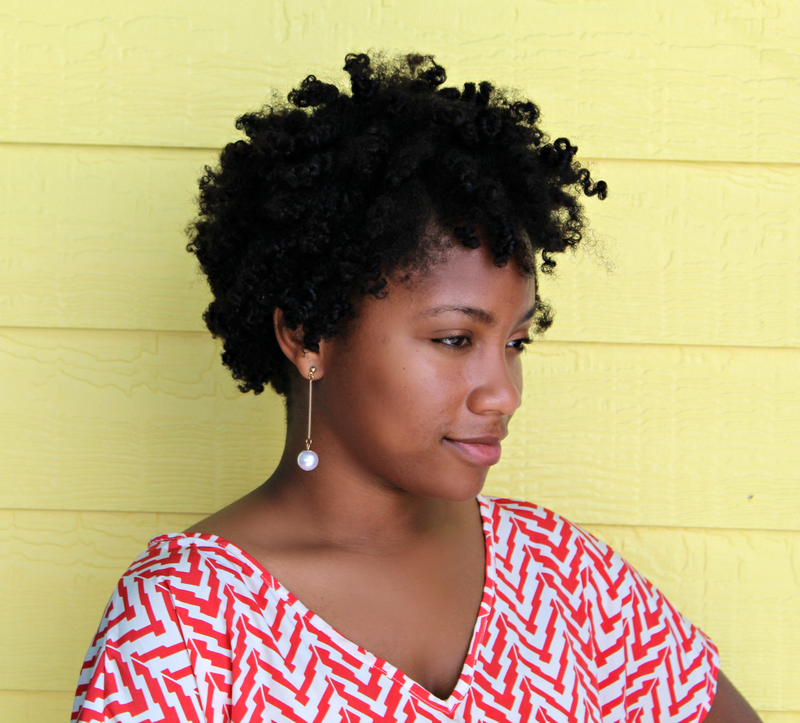 Yes, I finally purchased a few FHI professional products for my natural hair. Wait...wait...this is long overdue because one of two of these products has a market value of about $500 bucks (bean beans as my husband calls it). 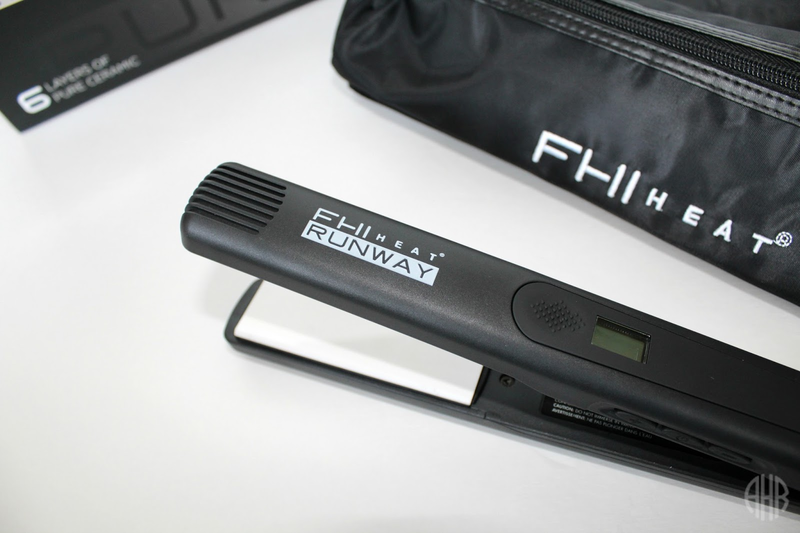 I have wanted to purchase the FHI Runway for YEARS! Let me tell you about these two products right NOW and my buying experience. Also, if you want to check out the other products and tools I use, just click this LINK. I purchased this blow dryer at a JCPenney Salon in my area. The sales price for this blow dryer was $111.99 but I received a discount on it which made the total price $89.87 (tax included). I have heard a lot of great things about this blowdryer and I plan to use it on Aug. 26th to style my hair for a wedding. I will update with my full review around that time. However, my initial thoughts were that the packaging was superb. Everything in the box looked and smelled brand new. The cord was wrapped properly and the outlet plug had a nice plastic cover over it. You may be wondering why this is important to me but stay tuned. Also, the design of the blow dryer is sleek and I love the locking cool shot feature. 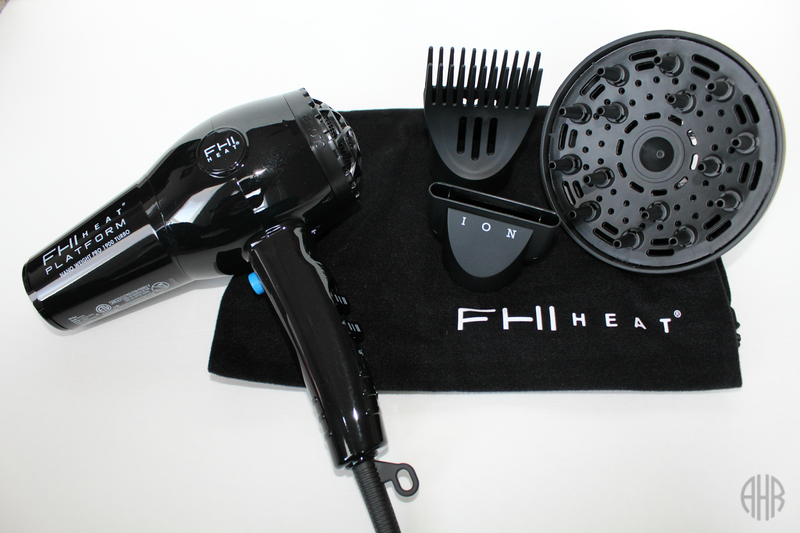 This blow dryer is super lightweight and very quiet when turned on. One of my concerns is that the comb attachment my snag my hair. When I ran my fingers across the top of the comb attachment teeth, I could feel a slight unevenness at the tips of the combs (slightly jagged). However, overall, my initial review of this blow dryer is very positive. Now I saved the best for last. I have wanted this flat iron since I began my natural hair journey in 2013. Now, three years later I am happy to own one. I purchased this item online at JCPenney. You're probably thinking, "What is going on with her and JCPenney." 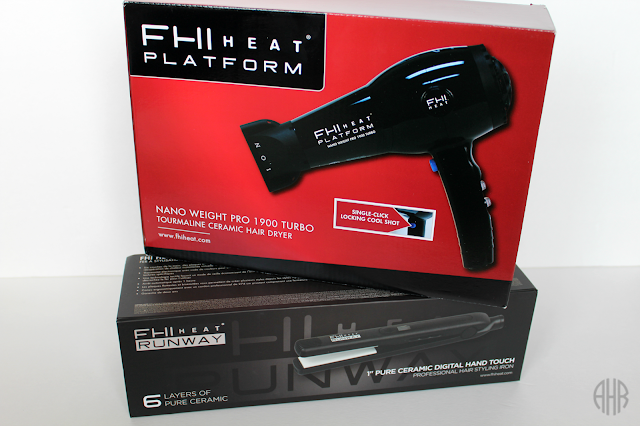 To be honest, they always have great deals and they are a genuine FHI distributor. No gimmicks. This flat iron was on sale at jcp.com for $371.25 and I received an additional discount making my total $315.56 (tax included). Processing to ship the flat iron took about a week and shipping to my home took a few days (about 3). 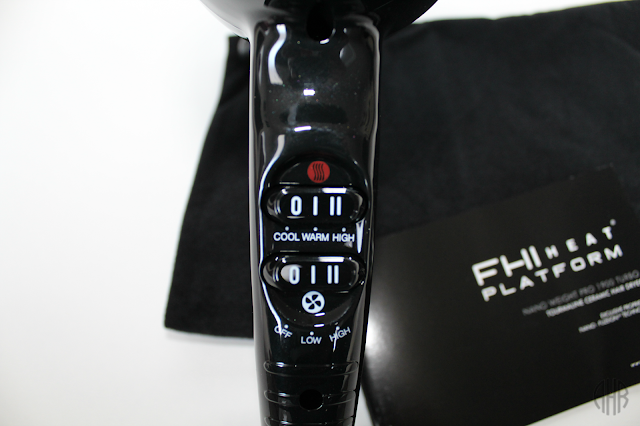 When I received the flat iron I immediately started my scan down procedure. The packaging was great. Inside the flat iron box was a nice black storage pouch and heat resistant mat. Also, the flat iron heated up very well and was easy to operate. However, I had a few concerns. First, I noticed the outlet plug did not have a protective cover on it. 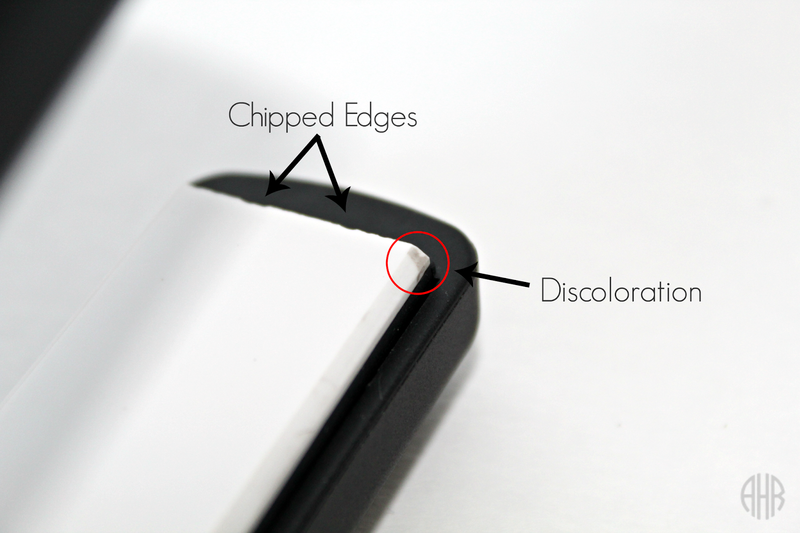 Second, the very edges of the flat iron had some discoloration. Third, the very top and bottom of the plates were slightly chipped. I looked at every inch of that flat iron to check for damages. Now you're probably thinking, "Why are you so picky?" To answer that, typically I am not too picky. However, $300 is an excuse to be picky for me lol. On top of that, there was a person on eBay selling an FHI Runway flat iron that looked to be in great condition with no imperfections like mine had. Then again, the seller's photos were sort of grainy. Also, the seller's outlet plug had a protective cap over it. I definitely didn't want to buy this expensive flat iron from eBay due to the lack of a warranty on the product. There were so many thoughts running through my head. 1) Are ceramic plates naturally discolored in some type of way or chipped? 2) Do some products come without the protective cap over the outlet plug in? 3) Am I overexaggerating? 4) Should I return it? I contemplated sending the iron back because I honestly didn't know if my iron had a defect or if it was used. I contacted FHI Heat and one of the representatives told me that my situation was unheard of and that the plates should be without flaw. She informed me that the process to ship it to FHI would require that I pay the shipping and handling fee as well as a repair and restore fee. She suggested sending it back to JCP and ordering a new one. Unfortunately, my joy turned to despair as I packed up my flat iron and placed it back into the box from which it came. I called JCP to discuss the issue further with them. They were kind and told me to send the product back for a full refund. But, I didn't want it. I wanted to keep my new little toy and not hassle with sending it back. So, I waited out the rest of the evening in deep thought and told my husband about the dilemma. He thought I was being a little dramatic and suggested that I keep the flat iron and see if it worked properly with my hair. This was a great suggestion because I didn't want to return it. I wanted to keep it. So, that is what I did and the product you see here is the exact same flat iron I initially purchased. I have not used it, like the blow dryer. However, I plan to blow dry and flat iron my hair for a wedding, as I mentioned earlier. If I have any problems with it at that point, I will definitely return it. Overall, my flat iron experience was okay at this point. Furthermore, I want to know your feedback on the flat iron I purchased in the poll below. It would really help. Have you purchased the FHI Runway? Yes, it was not in the condition that your iron was. Yes, but I didn't notice anything like you did. Yes, mine was just like yours. Yes, but I think you will be fine. Yes, but I think that you should take yours back. Yes, and I think you should test it out in your hair first. No, but I think that your iron is fine. No, but I think that you should take yours back. No, and I think you should test it out in your hair first.